The amount of money people spend on prescription drugs has nearly doubled over the past three decades as pharmaceutical sales and profit margins have ballooned, according to a government report. Retail prescription drug expenses accounted for about 12% of total U.S. healthcare spending in 2015, up from about 7% through the 1990s. Pharmaceutical and biotechnology sales revenue increased from $534 billion to $775 billion between 2006 and 2015, according to a recent report from the U.S. Government Accountability Office. About two-thirds of drug companies saw their profit margins increase over that period, averaging 17.1%. "Drug companies raise prices far exceeding inflation because they can," said Scott Knoer, chief pharmacy officer at Cleveland Clinic. "In the absence of regulation and without consumer awareness—since consumers don't generally see the price due to insurance—the sky is the limit." Ultimately, all of these costs are passed on to the government, insurance companies, patients and taxpayers, he added. The GAO, along with other policy experts and government institutions, set out to identify the drivers behind one of the fastest-growing expenses in healthcare. Rising drug prices have caused hospitals and consumers to put off treatment or find workarounds that aren't as effective. Surging pharmaceutical costs coupled with looming policy uncertainty have caused providers to cut back on hospital expenditures that would improve operations. The GAO found that much of the rise in drug spending, which is expected to increase by nearly 8% in 2018, was fueled by the use of expensive brand-name drugs, although some pharmaceutical companies have increased generic drug prices as well. Also, limited competition has inflated drug prices while consolidation among some of the largest pharmaceutical companies has stifled research and development spending and new patents issued, research shows. Mergers and acquisitions in the pharmaceutical space have also been linked to rising drug prices. For both brand-name and generic manufacturers, expanding the size of their drug portfolio may improve their bargaining position with pharmacy benefit managers, which negotiate rebates with pharmaceutical companies on behalf of payers, process claims and negotiate tiered networks where the beneficiaries can fill prescriptions. But how that translates to cost to the consumer is hazy, given that there is no transparency into these negotiations. "The rebates never make their way to the provider or consumer," Knoer said. While the number of mergers and acquisitions involving one of the largest 25 pharmaceutical companies more than doubled from 2006 to 2015, research and development spending has slowed, which pharmaceutical companies often cite as a primary reason for higher prices. Worldwide company reported R&D spending, most of which went to drug development rather than research, increased slightly from $82 billion to $89 billion from 2008 to 2014, according to the report. "Companies are clearly making more profits—there is a lot of talk about innovation and that's why prices are so high, yet R&D spending hasn't increased very much," said Erin Fox, who directs the Drug Information Center at the University of Utah. Certain payment policies may also limit the negotiating power of insurers. The report pointed out that the coupons brand-name drug companies give to consumers may result in higher prices overall. These coupons can erode the negotiating power of insurers and the cost management utility of formularies, experts said. Market exclusivity given through certain avenues like the orphan drug classification, may also be contributing to higher drug prices, research shows. Certain branded developers seek approval for their drugs to treat a rare disease and benefit from orphan drug exclusivity rights that serve as a gateway for premium pricing and blockbuster sales, experts said. Biologics and orphan drugs represent a greater share of new drug approvals, according to the report. The share of approvals for biologics increased from 8% to 17% of all approvals from 2005 to 2015 while the share of orphan drugs jumped from 5% to 16%. Biologics are attractive to manufacturers because they have longer patent expiration, they are generally more expensive and it is difficult for potential competitors to replicate, Knoer said. Orphan drugs have an easier approval process, a built in tax incentive, seven years of market exclusivity and have a higher price point, he said. Some have called on policymakers to limit the Orphan Drug Act's market exclusivity provision, which bars the U.S. Food and Drug Administration from approving any new or abbreviated application for the same drug for the same indication for seven years. The FDA has been pushing for more low-cost generic-drug approvals as a means to lower pharmaceutical prices. But critics are concerned that quicker approvals translate to riskier drugs. The agency has published a list of off-patent branded drugs without approved generics in response to some companies that have hiked the price of decades-old off-patent drugs with minimal competitors. 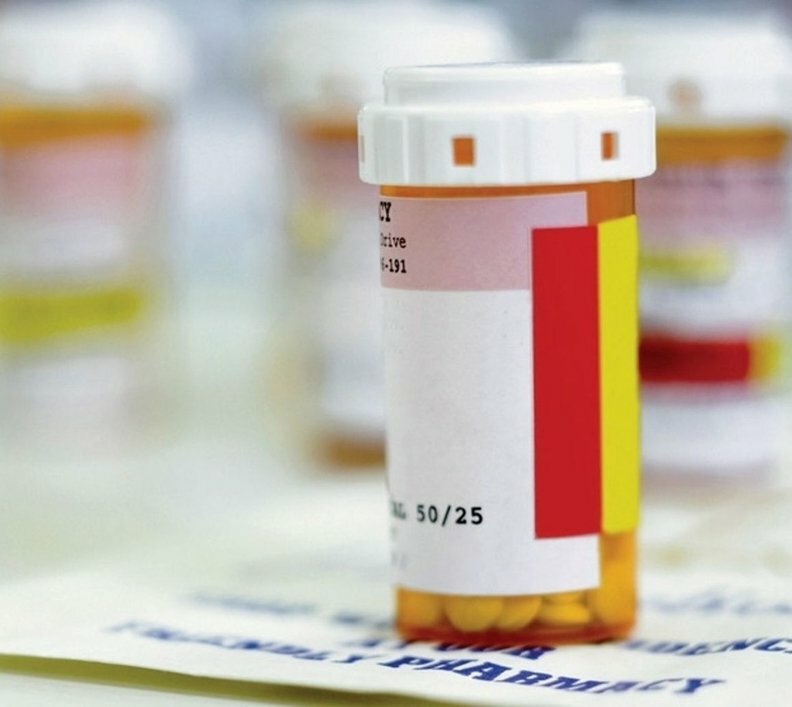 The FDA has pledged to prioritize certain generic-drug applications for branded drugs that have less than three competitors and clear the existing orphan drug request backlog to streamline the response process. The FDA also aims to patch a porous regulatory framework that has allowed branded drug manufacturers to block generic competitors. "This is all impacting providers, consumers, insurance companies and patients," Knoer said. An edited version of this story can also be found in Modern Healthcare's Jan. 1 print edition.